correct indication in a loan agreement of the relevant annual percentage rate of charge (APR). In addition, another hot topic in banking litigation relates to the interpretation of ‘written form’ for the purposes of Article 23 of the Italian Financial Act (TUF), recently clarified by the United Chambers of the Supreme Court (the United Chambers) in a landmark ruling. Under Law No. 108/1996 of 7 March 1996, a financing agreement shall be considered usurious (and the relevant clause or clauses null and void) when interest and other lending-related costs, collectively considered, exceed a maximum threshold. Such threshold (different for each credit product category) is quarterly determined on the basis of the average global interest rates applied by lending banks and intermediaries who shall periodically communicate the global rates applicable to the Ministry of Economy and Finance in accordance with the instructions issued by the Bank of Italy. As analysed in last year’s edition of this review, one of the main issues Italian courts have to deal with in applying this regime is the exact identification of the items (i.e., interest and other lending-related costs) that have to be collectively measured against the quarterly maximum threshold for the purposes of the usury test. That said, a careful reading of the decisions under item (1), above, reveals that the doubts cast in relation to the regime applicable to default interest, for the purposes of the usury test, were – as unfortunately happened in the past in relation to Supreme Court decision No. 350/2013 – originated by a mere misinterpretation of the same. In fact, as also pointed out by case law subsequent to the 2017 decisions at hand,6 in such cases the Supreme Court set aside the then challenged lower courts’ judgments on the basis of the fact that the latter never actually measured the contractually provided default interest rates against the usury threshold applicable at the time of the entry into the relevant agreements, but rather they excluded such threshold to have been exceeded on the basis of the mere theoretical impossibility to cumulate actual lending-related costs and default interest for the usury test purposes. Therefore, subject to the United Chambers’ expected ruling on application of the ‘symmetry principle’ to the contested banking overdraft fee inclusion issue (which, in any case, does not directly involve the default interest inclusion issue, above), no change in usury case law has been brought by the above-mentioned 2017 Supreme Court decisions. One of the most relevant rulings issued by Italian courts in the past year is decision No. 24675/17 dated 19 October 2017 issued by the United Chambers, which (hopefully) definitively solved the Italian legal issue commonly termed ‘supervening usury’. As analysed in more depth in last year’s edition of this review, this expression has been commonly used to describe cases where interest (plus other lending-related costs) provided for in a financial contract, or paid pursuant thereto, exceeds one of the quarterly usury thresholds of Law No. 108/1996, applicable during the relevant contractual period, even though, at the date of the relevant financial contract: (1) Law No. 108/1996 was not yet in force; or (2) the then applicable usury threshold was complied with by interest (plus other lending-related costs) applicable at such date. Under such circumstances, a few case law precedents had held that interest paid in excess of the applicable usury thresholds had to be ex officio reduced by judges to the level of such thresholds on the basis of a (partial) ineffectiveness of the relevant contracts for alleged post-signing violation of Law No. 108/1996. However, such a violation has now been denied by the United Chambers, who, based on (1) the fact that the usury test shall be performed only with respect to interest (and other lending-related costs) applicable at the date of the agreement; and (2) the non-retroactive effect of Law No. 108/1996, held that the ‘supervening usury’ does not exist in the Italian legal system. Such landmark decision has been subsequently confirmed by other Supreme Court and lower court rulings,7 the latter leaving no further doubts on this utterly delicate matter for all banking businesses in Italy. With regard to the relatively common issue in Europe relating to the alleged invalidity of foreign currency (mainly Swiss franc) indexation clauses included in residential mortgage loans, Italian courts are gradually aligning with the view expressed by the Court of Milan in decision No. 6520/2017 of 9 June 2017 (analysed in last year’s edition of this review). In accordance with the path already outlined by decision No. 6520/2017, above, the core reason behind such subsequent rulings is the clear difference between the socio-economic function9 and structure of a derivative contract, and the function and structure of a foreign exchange indexation clause included in a loan agreement. The function of the latter is not – as for derivative contracts – focused on the exchange of a differential in order either to provide hedging of a specific (currency) risk or to speculate on such a risk: the specific function of this clause is to serve the sole purpose of the loan, adjusting repayment flows to the relevant currency exchange rate evolution rather than creating new flows on the basis of such an evolution. The issue relating to the consequences arising from the wrongful indication of the APR – introduced by Council Directive 90/88/EEC of 22 February 1990 – in the context of a loan remains one of the most frequent causes of action in the Italian banking litigation context. In such respect, the borrowers, upon the wrongful indication or calculation of the APR in their loan agreement, usually claim the relevant interest clause to be null and void for alleged violation of Article 117 of the Italian Banking Act (TUB), which sanctions with invalidity any clause providing for rates and prices less favourable to the client than those communicated by the bank in the pre-contractual phase. The last significant case, recently addressed by the United Chambers with decision No. 898/2018 of 16 January 2018, derives from the interpretation of Article 23 of the TUF. This provision imposes an obligation on banks and firms to enter into a written master contract with retail clients in the case of provision to the latter of investment (and ancillary) services,11 it being understood that the relevant service agreement not complying with such written form obligation shall be considered as null and void. That said, in last year’s edition of this review, it was noted that, in the Italian market practice, the kind of master agreement above is commonly executed through the exchange between the bank or firm and the relevant client of two copies of the relevant contract, each one signed only by the delivering party.12 This allowed a number of clients (usually not satisfied by the performance of financial assets suggested by banks) to attempt to challenge the validity of their respective framework agreements for violation of the above-mentioned written form, by avoiding to file their respective copy of the contract (signed by the bank) in the context of the relevant judicial proceedings. The copy of the contract only signed by the client (filed by the bank or firm) is then alleged to amount at best to a written contractual proposal, but certainly not to a fully effective and enforceable written contract between the parties. These claims, together with few isolated court precedents, created uncertainty in the interpretation and application of the written form requirement under Article 23 of the TUF, until the United Chambers, by the above-mentioned decision No. 898/2018, clarified that the sole copy of the agreement signed by the client, and not by the bank, is sufficient to prove that a valid and binding (written) investment services agreement has been entered into by the parties. The rationale behind such ruling is that the nullity sanction imposed by Article 23 of the TUF is only for retail clients’ (and not for public interest) protection purposes and, therefore, no such sanction can be imposed if it is proven that the client signed (and was provided with a copy of) the agreement, the written form of which has the only function of making the client fully understand the content of his or her rights and obligations under the same. In order to do so, (1) banks and financial institutions shall adopt specific internal reporting procedures, and (2) ad hoc procedures are provided for by the law to allow relevant individuals to directly report to the competent regulatory authorities. Finally, it is certainly worth mentioning that, since 25 May 2018, the European Union data protection Regulation (EU) 679/2016 (GDPR) has been applicable in Italy. Apart from the major impact the GDPR had (and will have) on the Italian legal system as a whole, it is inevitable that banking activities and litigation will be influenced by a number of the GDPR’s provisions on, inter alia, data portability, processors’ requirements, data privacy impact assessment, data protection officers, etc. 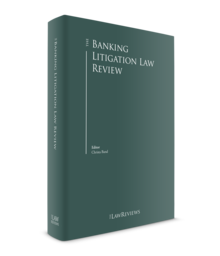 In the context of banking litigation relating to mortgage loans and other (non-complex) retail business contracts, according to a recent trend, clients are increasingly bringing claims against banks and financial institutions in the form of summary proceedings, pursuant to Article 702-bis of the Code of Civil Procedure. This special form of proceeding was introduced by Law No. 69/2009 of 18 June 2009 for the purposes of reducing the duration of civil proceedings that only require a summary investigation, through simplification of formalities characterising ordinary proceedings. In order to do so, the 2009 reform envisaged a form of process where, inter alia: (1) time limits for procedural activities are halved; (2) all unnecessary formalities in the investigation phase have to be avoided; and (3) the judge has a higher degree of freedom in the admission of evidence, the latter needing, in any case, to always have relevance for the case. That said, even though the clients’ intention to resort to Article 702 bis proceedings in order to reduce the time lag between their judicial request and the relevant judgment is understandable, in many cases there is an attempt to use such convenient judicial tool outside its scope of application, as identified by Italian case law. In light of the above, even though most banking litigation cases only need a documentary investigation, it is self-evident that a relevant majority of the same do not meet the requirements above and, therefore, only in a few cases will the judge decide not to convert24 a case of a banking nature initiated pursuant to Article 702-bis of the Code of Civil Procedure to ordinary proceedings. Another interesting trend followed by Italian courts relates to interim injunctions against payment of bank guarantees issued by one or more banks in order to secure correct and timely performance by a party (usually a seller) of its obligations under a contract for the benefit of the other party (usually the buyer). In accordance with consolidated international market practice, these guarantees provide for payment by the guarantor to the beneficiary:25 (1) upon sole submission of pre-identified documents that must conform to the terms of the guarantee;26 and (2) without such guarantor’s obligation being subject to claims or defences by the defaulting party resulting from its contractual relationship with the beneficiary applicant.27 In other terms, the guarantor bank is under no duty to investigate the underlying facts to determine whether in fact the allegedly defaulting party has breached the contract, the same bank being required only to determine whether the face of the confirming documents comply with the terms of the guarantee. As in many other jurisdictions, in order to set a limit on the consequences deriving from the overly rigid extension of the above-described independence rule in case an undeserving beneficiary commits any misrepresentation in the documents submitted to the bank, Italian law permits the bank to refuse to honour its payment obligation raising the fraud exception (exception doli) where it is prima facie evident from the submitted documents (or from any other document in the bank’s possession) that payment was fraudulently requested. That said, in case of request of payment under a bank guarantee of this nature, the allegedly defaulting party can try to oppose payment by way of a pre-proceeding ex parte injunctive relief, pursuant to Article 700 of the Code of Civil Procedure. As analysed in last year’s edition of this review, the criteria for determining whether to grant such extraordinary remedy are: (1) the periculum in mora, in this specific case amounting to a substantial threat that the allegedly defaulting party will suffer imminent and irreparable injury if the injunction is not granted; and (2) the fumus boni iuris (i.e., a substantial likelihood that the applicant will prevail on the merits), the latter usually being either that a demand for payment of the bank guarantee confirming the terms of the same has not yet been made, or that a demand, even though in conformity, should not be honoured because of fraud in the underlying transaction. It is clear that both requirements above are difficult to prove (especially considering the narrow scope of the fraud exception, frequently used as grounds for the interim application), thus implying a potentially very small amount of cases in which the above-mentioned injunctive relief can actually be obtained. However, in order to avoid the (sometimes very) prejudicial situation in which the guarantor honours its obligation on the basis of prima facie valid documents that – upon a subsequent full investigation on the merits at the hearing for confirmation of the ex parte injunctive order – are then shown to be the result of fraudulent activities, Italian courts28 started to follow a less strict approach in granting Article 700 ex parte (i.e., inaudita altera parte) injunctive reliefs. In fact, these interim measures now result in usually being granted even when meeting the two above criteria will probably be denied at the relevant order confirmation hearing, but, at the same time, this solution is favourable to banks that do not have to be concerned about the legal and reputational risks of (1) being considered in breach of the guarantee, and (2) having potentially refused payment on the basis of a believed fraudulent, but subsequently proven legitimate, beneficiary’s request. One of the most interesting cases on conflicts of law issues recently addressed by the United Chambers relates to compatibility of punitive damages with the Italian legal system, which may not only affect financial institutions and their litigation, but the system as a whole. The Supreme Court’s decision (No. 16601/2017) originates from a request for recognition in Italy of a US court judgment that sentenced an Italian company to pay, among others, damages to a US entity allegedly having a punitive nature. On this specific issue, it has to be recalled that, in 200729 and in 2012,30 the same Supreme Court did not grant recognition of judgments similar to the one above on the grounds that punitive damages were contrary to Italian ‘public policy’ provided for by Article 64 of Law No. 218/1995 of 31 May 1995;31 the above on the basis of the argument that the Italian legal system would contemplate damages only as means to restore the status quo ante, an actual and proven loss, thus allowing the same to be awarded solely for compensatory and not for punitive purposes. b there is a proportionality between compensatory and punitive damages, and between the latter and the sanctioned conduct. In relation to limitation or exclusion of banks’ liability, with a view to prevent negligent conducts, it is worth mentioning a recent 2018 Supreme Court’s decision32 relating to a case where a bank claimed for payment by its clients of the amount of their old current account balance. The amount of such claim was determined on the basis of the bank’s internal documentation evidencing each year’s account balance only from 1991 onwards, while all documents referring to previous years were no longer in the bank’s possession. The justification adduced by the bank for such lack of documentation was based on Article 2220 of the Italian Civil Code, which provides for the obligation to keep corporate records for 10 years only. However, the Court clarified that, in cases like the one at hand, a bank cannot invoke Article 2220 rule in order to be excused from providing evidence of alleged unpaid receivables against a client, such failure to keep the relevant documentation amounting to a grossly negligent violation of the sound and prudent management principle applicable to all banks under Article 5 of the TUB. While in the last edition of this review, future legislative trends could have been reasonably foreseen, this is certainly not the case at the date hereof. A minor civil procedure reform was enacted through Legislative Decree No. 116/2017 of 13 July 2017 and is expected to enter into force from 2021 onwards, but this – together with other already scheduled legislative measures (mainly coming from the EU)33 – could only give a flavour of how banking law and litigation is expected to evolve. On the litigation side, an important part will be played by Italian courts, that are expected to definitively address some of the above-mentioned litigation issues (such as the application of the ‘symmetry principle’ in the usury context), or to confirm current case law trends (e.g., the impossibility to qualify simple foreign currency indexation clauses included in mortgage loans as derivatives). However, the decisive and most uncertain factor in the equation will obviously be the legislative approach of the new Five Star Movement–Lega government to banking matters. Even though such newly elected executive seems to have the intention of distancing itself from the alleged pro-banks approach adopted by the former Renzi–Gentiloni government, it will, however, be interesting to see if such political statement (together with many others) will withstand the pressure of EU institutions and international markets, also in light of the fact that the Italian economy and employment figures are in need of attracting international investment. In any case, a huge aid in terms of foreign investment attraction power has been served to Messrs Di Maio and Salvini with Draft Law No. 4453 dated 2 May 2017, which envisages a favourable tax treatment in Italy for sukuk and other shariah-compliant contractual structures that, if enacted, could give birth to a whole new line of business for financial institutions in Italy. 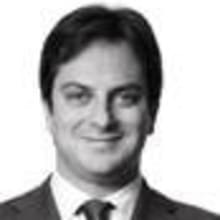 1 Alessandro Villani is a partner and Francesco Amatori is an associate at Linklaters LLP. 2 See, ex multis, Court of Milan decision No. 302 of 8 March 2016; Court of Rome decision No. 16860 of 16 September 2014; Court of Padua of 10 March 2015; Court of Bologna of 17 February 2015; Court of Turin decision No. 5984 of 17 September 2014; and Court of Naples decision No. 5949 of 15 April 2014. 3 It is worth reminding that, pursuant to the symmetry principle, consistency between the items to be taken into account for the calculation of, on the one hand, the global lending cost rate relating to a single contract, and, on the other hand, the relevant threshold value to be complied with, is necessary to avoid the risk of comparing two non-homogeneous figures. 4 See, ex multis, Court of Milan of 12 February 2015, Court of Padua of 10 March 2015 and Court of Mantua decision No. 1026 of 13 September 2016. 5 Even though the case to be adjudicated by the Supreme Court relates – as per the previously mentioned decision No. 12965/2016 – to the inclusion of a specific banking overdraft fee (called CMS) in the usury test relevant items. 6 See Court of Brescia No. 1191 of 19 April 2018. 7 See Supreme Court decisions Nos. 9762/2018 and 2311/2018, as well as Court of Appeal of Milan decision No. 4862 of 21 December 2017 and Court of Avellino decision No. 1028 of 29 May 2018. 8 See Court of Milan decisions Nos. 12332 of 6 December 2017 and 6080 of 30 May 2018; Court of Rome decision No. 20311 of 27 October 2017; Court of Monza of 12 January 2018 (RG No. 83/2015); and, with respect to financial lease agreements, Court of Udine decision No. 296 of 7 March 2018. 9 It is worth reminding that such contractual element represents the grounding of an agreement under Italian law. 10 See, ex multis, Court of Milan decision No. 8427 of 28 July 2017; Court of Rome of 23 February 2018 and 19 April 2017; Court of Naples decision No. 183 of 9 January 2018; Court of Mantua of 2 May 2017 and 20 December 2017; Court of Bergamo decisions Nos. 3004 of 5 December 2017 and 2302 of 8 September 2017; Court of Monza decisions Nos. 550 of 13 February 2018 and 2403 of 17 August 2017; Court of Salerno of 31 January 2017; and Court of Busto Arsizio decision No. 1150 of 20 July 2017. 11 A copy of such written contract having then to be delivered to the relevant retail client. 12 In other words, upon conclusion of the contract, the bank would be in possession of a copy of the investment services agreement signed solely by the client, and the client would be in possession of an identical copy of the agreement with the sole signature of the bank’s representative thereon. 13 Composed of Regulation (EU) No. 600/2014 and MiFID II, the latter implemented in Italy through Legislative Decree No. 129/2017. 14 E.g., the new organised trading facility for non-equity instruments has been introduced. 15 Through, among others, product governance, stronger suitability assessments and competent authorities’ product intervention. 16 See the Italian Companies and Exchange Commission (Consob) Resolution No. 20249/2017. 17 See Consob Resolution No. 20307/2018. 18 Namely, Legislative Decree No. 90/2017 of 25 May 2017 on anti-money laundering and Law No. 179/2017 of 30 November 2017, which join previously enacted Law No. 190/2012 of 9 November 2012 and Legislative Decree No. 75/2015 of 25 May 2015. 19 I.e., Regulation (EU) No. 596/2014 and the relevant Commission Implementing Directive (EU) 2015/2392 of 17 December 2015. 20 I.e., Legislative Decree No. 231/2007 of 21 November 2007, as amended and supplemented by Legislative Decree No. 90/2017. 21 See Article 52-bis and 52-ter TUB. 22 See Article 4-undecies and 4-duodecies TUF. 23 See, ex multis, Court of Turin of 3 December 2013; Court of Naples of 4 April 2014; Court of Verona of 9 August 2011; and Court of Varese of 18 November 2009. 24 The power of the judge to convert ex officio a summary proceeding to an ordinary one is granted directly by the law (see Article 702-ter of the Code of Civil Procedure). 25 Or to the beneficiary’s bank who, in case the relevant security package provides for a chain composed of more than one bank or guarantor, applies for reimbursement by the defaulting party’s banks after having directly paid the beneficiary. 26 Usually a pro forma declaration and a demand for payment to the relevant bank, sometimes accompanied by an expert’s report evidencing actual non-performance of the relevant contract. 27 This being an application of the ‘independence principle’ governing the guarantee, according to which the latter is independent from the underlying contract whose performance is secured through issuance of the same guarantee. 28 E.g., see Court of Milan of 11 December 2013 (RG No. 13056/2013); Court of Milan of 19 November 2013 (RG No. 73674/2013); Court of Milan of 6 July 2017 (RG No. 21635/2017); and Court of Rome decision No. 11955 of 24 November 2017. 29 See Supreme Court decision No. 1183/2007. 30 See Supreme Court decision No. 1781/2012. 31 This being the main requirement to me met under Article 64, which provides that recognition of a foreign judgment is subject to the latter’s legal effect not being contrary to Italian public policy. In the past, such extremely broad concept of ‘public policy’ was identified in the complex of fundamental principles characterising the socio-ethical structure of a national community in a certain point in time, as well as the mandatory principles underlying the most important national legal concepts (see Supreme Court decision No. 1680/1984). 32 No. 4102 of 20 February 2018. 33 E.g., the expected Italian bankruptcy law reform.